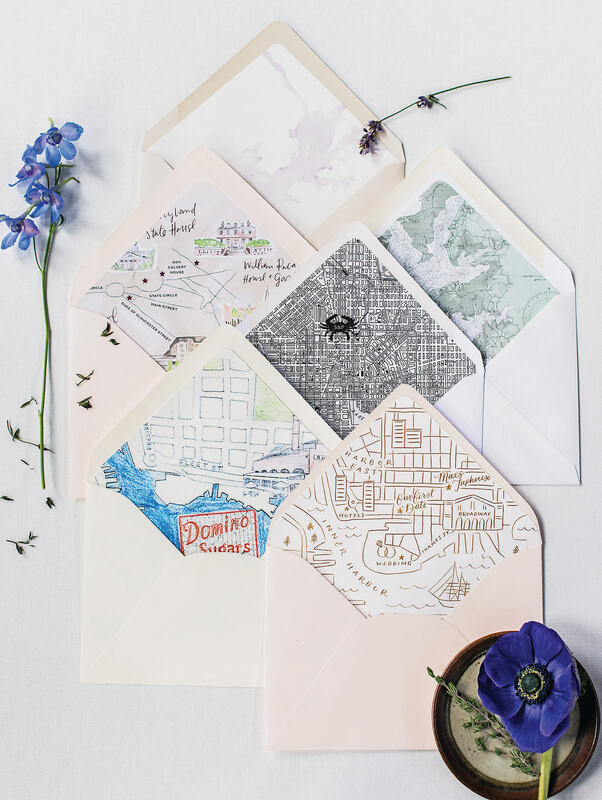 Geographic envelope liners give an invitation context and can be a playful nod to a couple’s favorite city. Right to left, clockwise: Chesapeake Bay watercolor by Ruby the Fox. Topographical map by mlc designs. City streets with crab monogram by Just Ink On Paper. Inner Harbor in gold and white by Anchor Point Paper Co. Domino Sugars liner by Martha Plack at Pleasure of Your Company. Annapolis map custom illustration by Little Bit Heart.